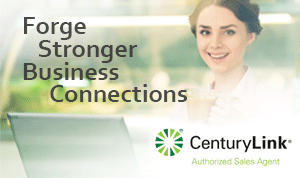 CenturyLink Business Internet 20 - CenturyLink High-Speed Internet (HSI) connection speeds up to 20 Mbps, fully powered for Business Internet tasks for your small business. When choosing CenturyLink Business Class Pure Broadband 20 Internet your office will be fully powered for virtually any Internet task in todays work environment. CenturyLink High-Speed Internet with download speeds up to 20 Mbps will put the full power of the Internet for real-time communication, HD video viewing and sharing large files in always-on, multi-user business locations and offices.